BR Parrots are a shy fish that is timid but will acclimate to a community tank very nicely. They learn to recognise their owners and will come to the front of the tank to greet them. They do love to have their own clay pots or caves to hide in and I would recommend caves in their tanks. Our Minimum Order of Quantity is 5000pieces...!!! 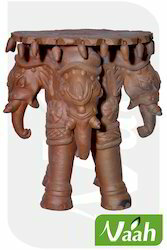 We offer terracotta artifacts/statue in different styles and shapes at best prices in market. 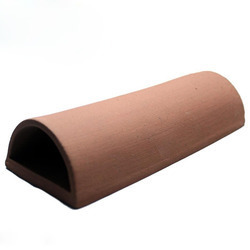 With our in-depth domain knowledge and industry experience, we are engaged in offering our clients with an attractive collection of Terracotta Handicrafts. Orissa State Co-operative Handicrafts Corporation Ltd. Specially Handmade from Terracotta Clay by very experienced artists. We wlso provide artifacts like name plates, Animals, Birds, Tile Art, vases and Diwali Diyas as per user request. Hand crafted and painted terracotta articles and figurines of various types. These are suitable for indoor and outdoor (garden) decoration. Terracotta Flower Candles with Ethnic floral designs. These Designer candles are made by 'House of Harmony' an Auroville based unit. Panchatatva, are manufacturers, exporters and suppliers of exclusive, artistic and ethnic home décor products. These are made up of totally natural materials like Wood, terracotta, bamboo, banana plant fibre, coconut shells, metal chains and bells. We use traditional Indian accessories to enhance the beauty of these artifacts. Laxmi Ganesha, Diya, Shubh Labh, Chyme Hanging and decorative diwali items in Terracotta material.